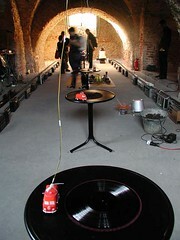 Faster vinyl kill kill, the Staalplaat Mono Erosive Surround Sound Installation. 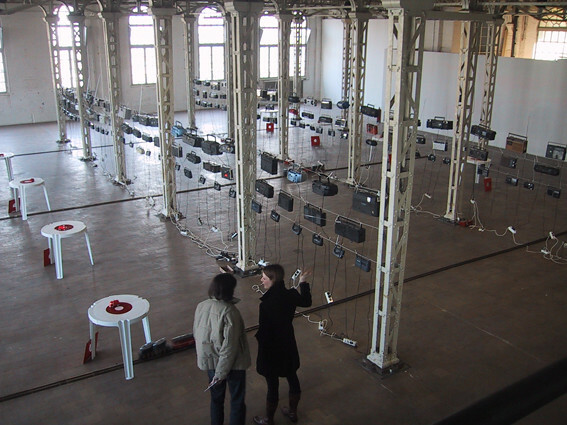 The installation is inspired by the experience of driving in a car close to the Funkturm (Radio and TV Tower) in Berlin, passing quickly in and out of different radio signals. 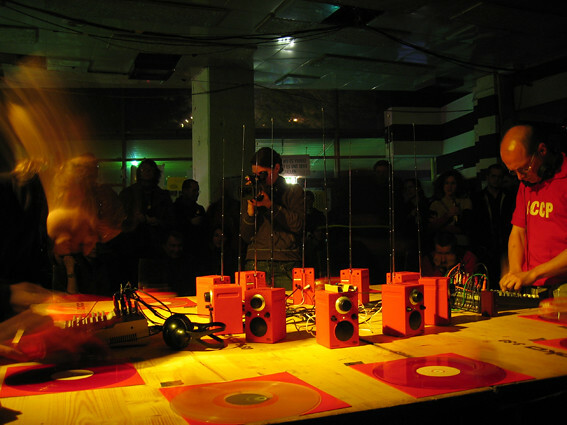 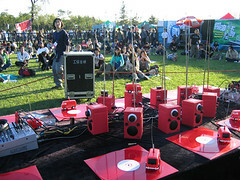 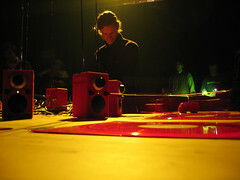 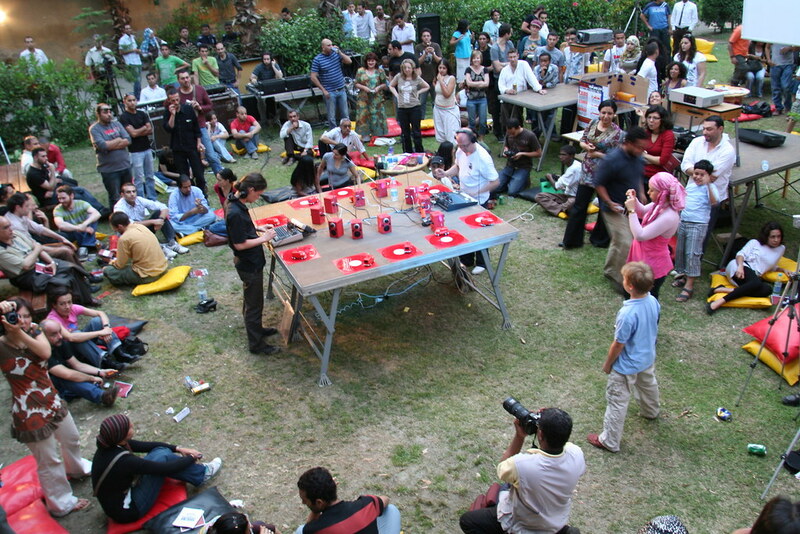 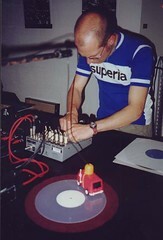 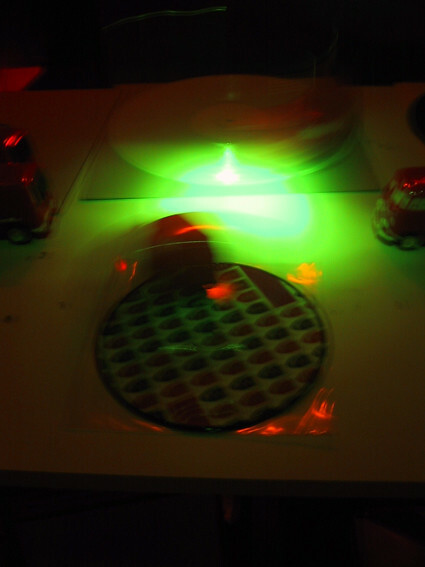 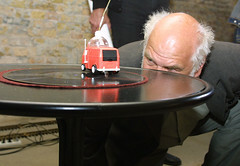 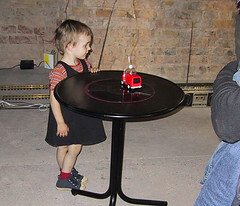 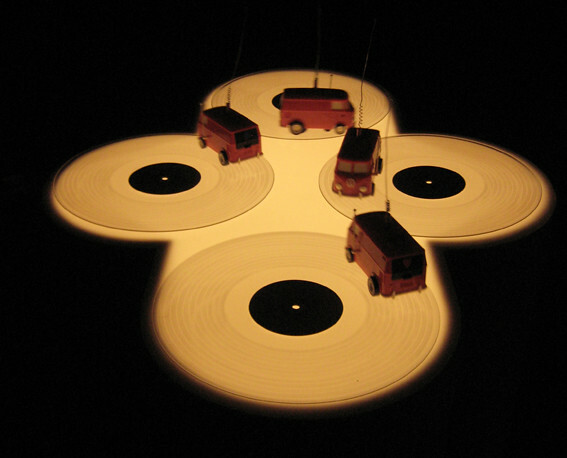 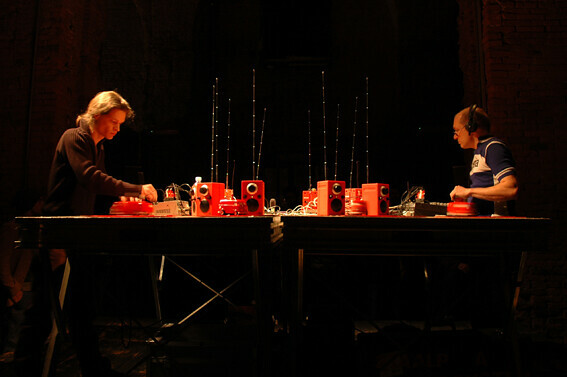 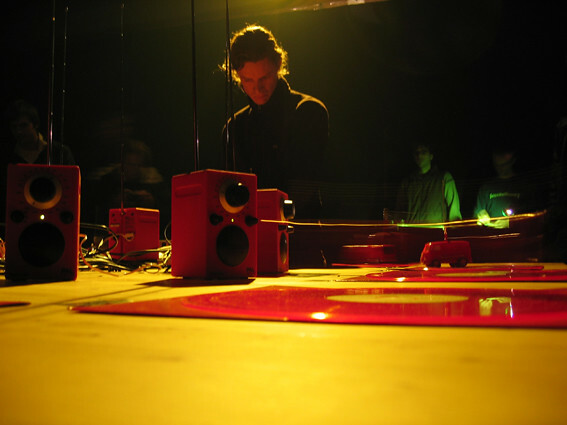 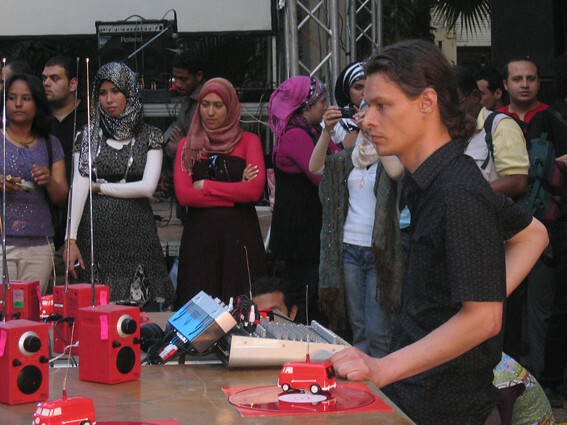 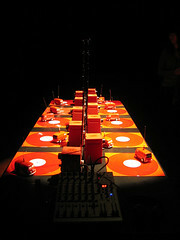 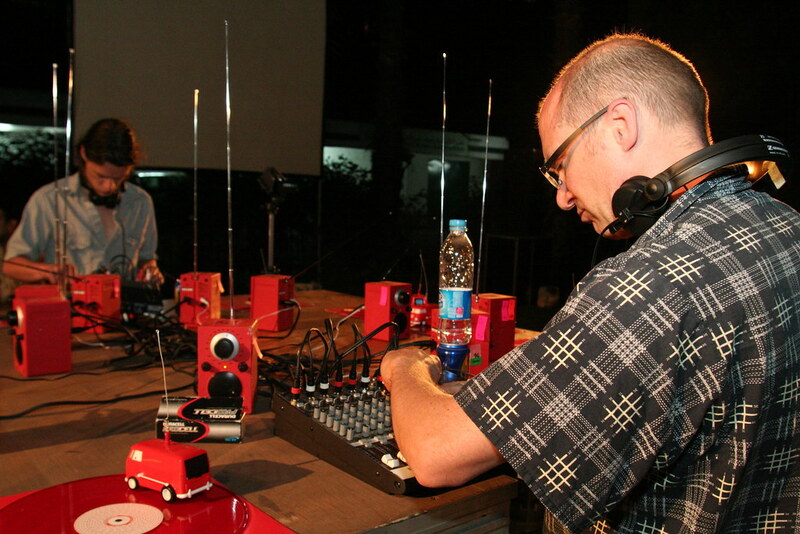 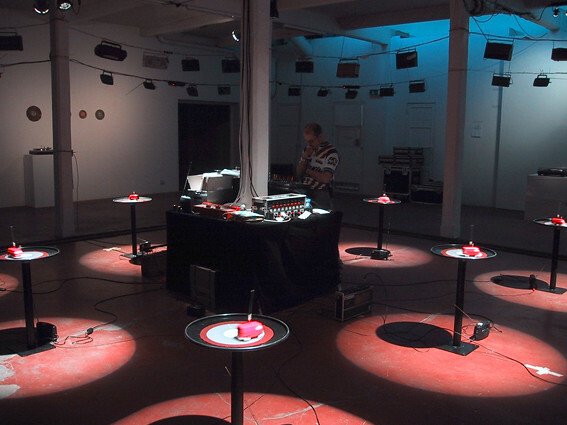 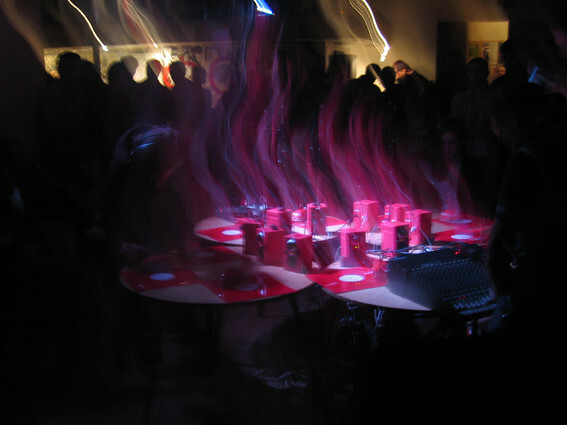 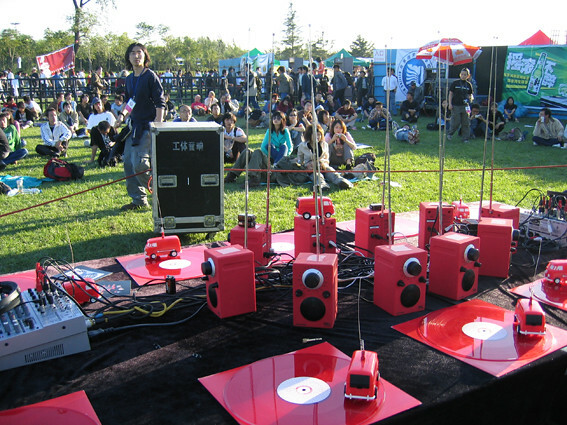 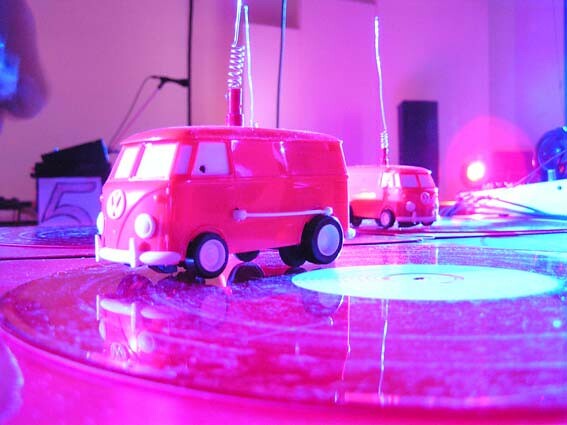 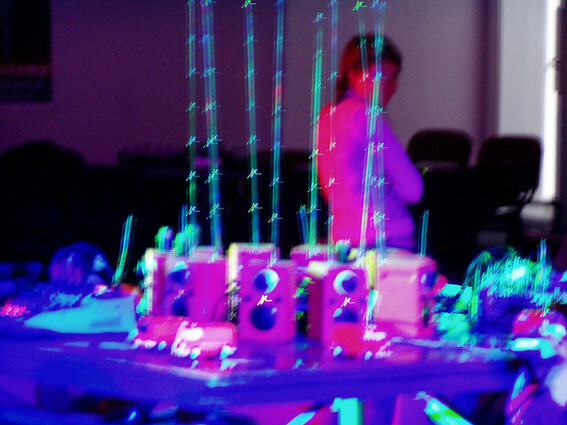 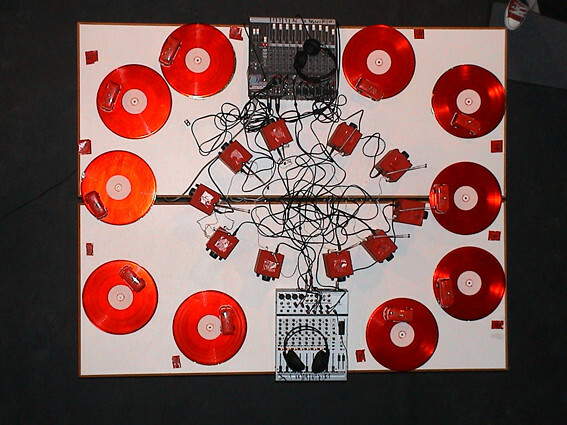 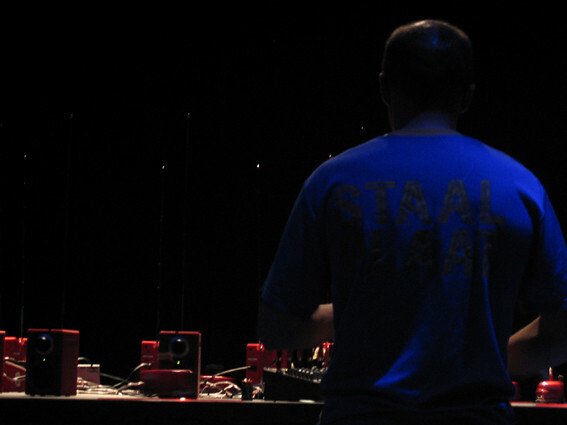 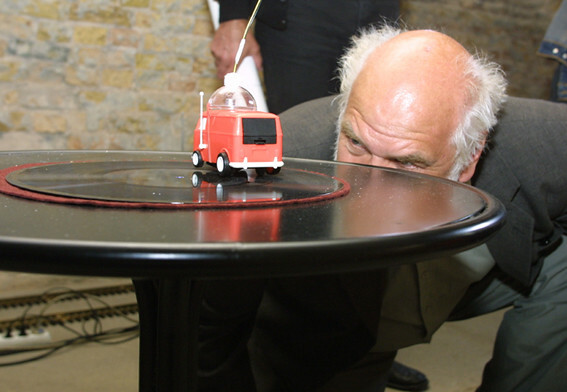 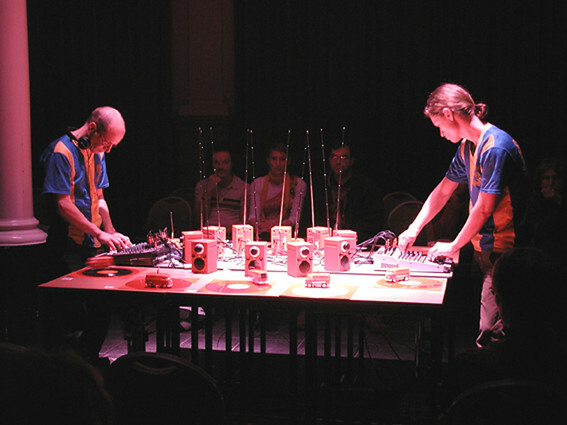 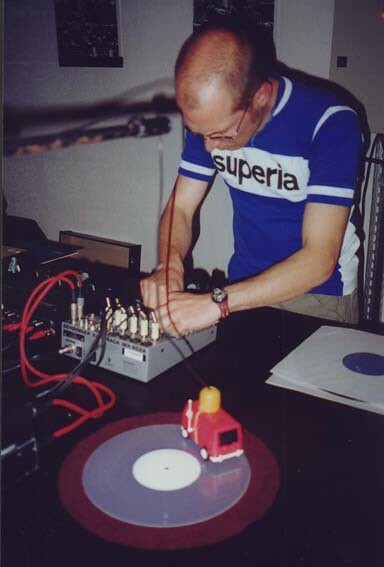 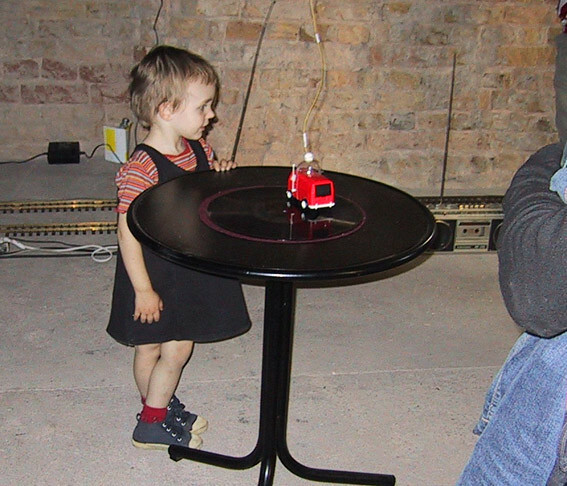 The present setup for the YOKOMONO live concert version consists of 10 vinyl killers – toy car record players, each customised with its own fm transmitter. 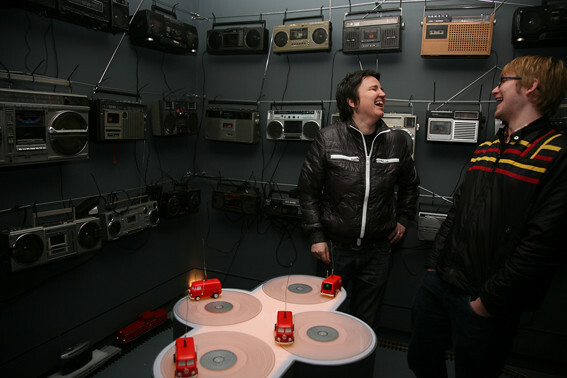 For these killers we made three different loop records (locked groove records) with 55 loop on each side and we are now working on a new record for Yokomono. 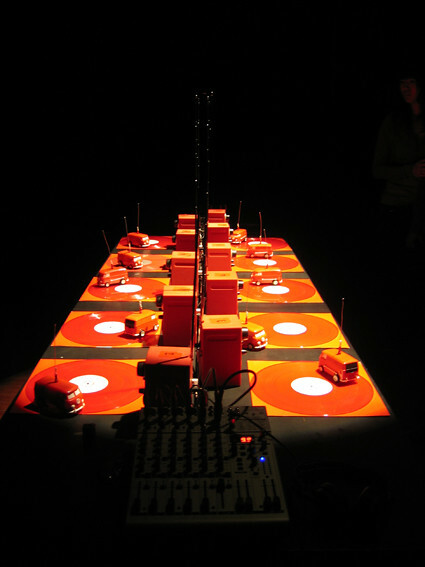 The sound will come through a set of radios that receives the signal transmitted by the vinyl killers You might think Yokomono is just a DJ set with 10 turntables, and in a way that is correct but in many more ways Yokomono is completely different. 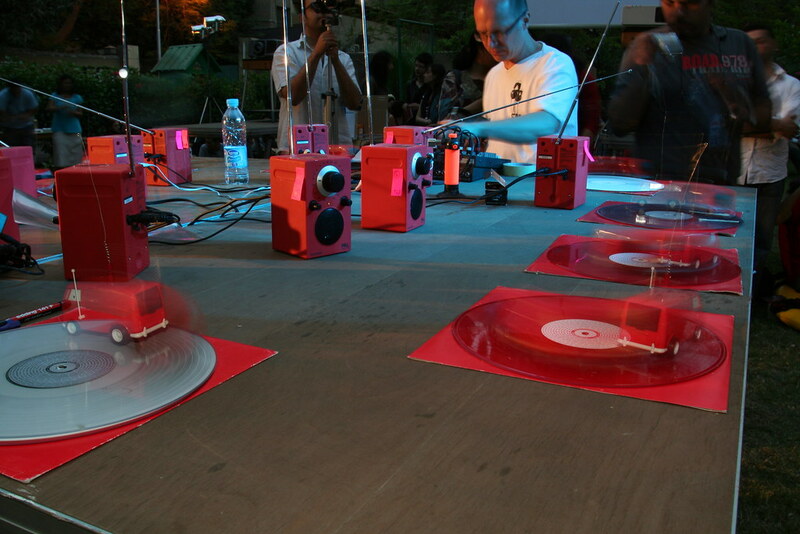 First of all; each killer is mono and has pour sound quality, but much more Yokomono is very hard to handle, you can not really select a track or make it stop when you want to, its more putting the needle down blindfolded. 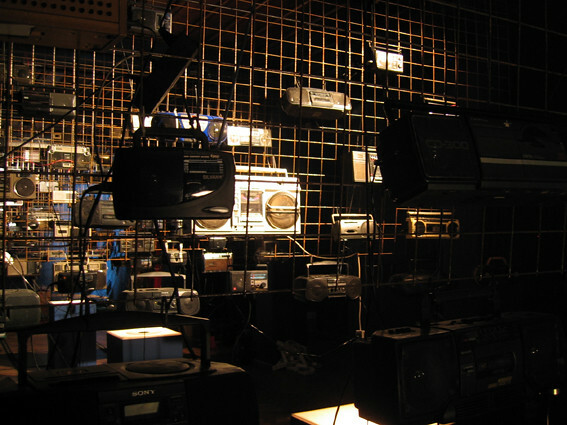 The real difference starts when you realise each killer runs on batteries, meaning the speed is unstable and it will slow down during the concert, the fact that the batteries run out will not only effect the speed but it will effect the fm frequency that the killer is transmitting too. 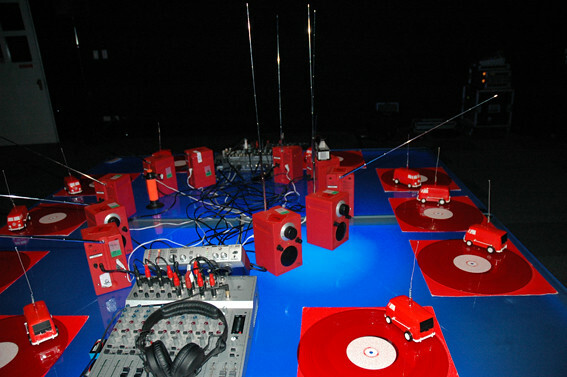 …The fact that we transmit with 10 fm transmitters at the same time means that each transmitter is effecting the other. These interference and the unstable media that is transmitting makes the whole set unpredictable and hard to control, making Yokomono unique and adventures. 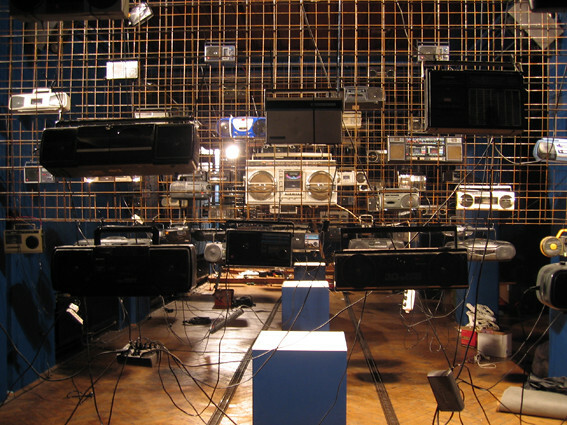 For the YOKOMONO installation version: we bring over two hundred radios. 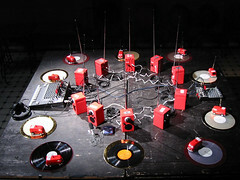 As each killer will play its own loop record it opens up a separate audio stream. We thereby generate and control a multi-channel sound system. 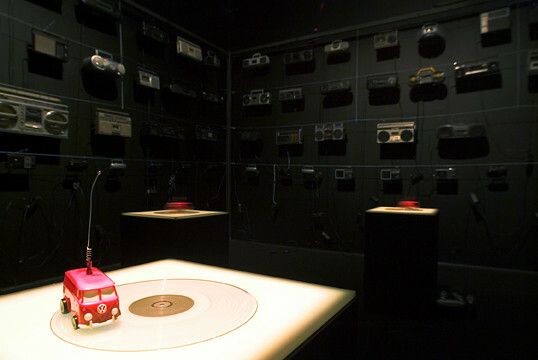 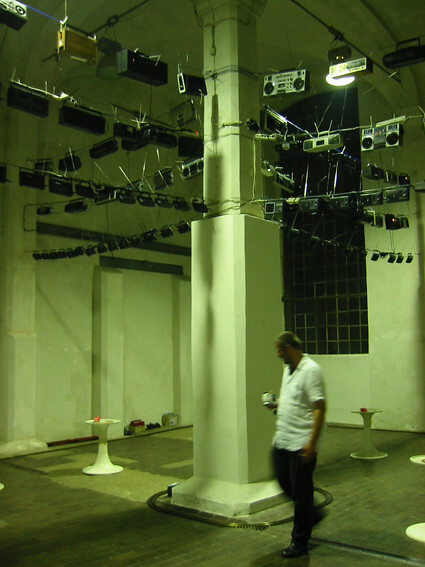 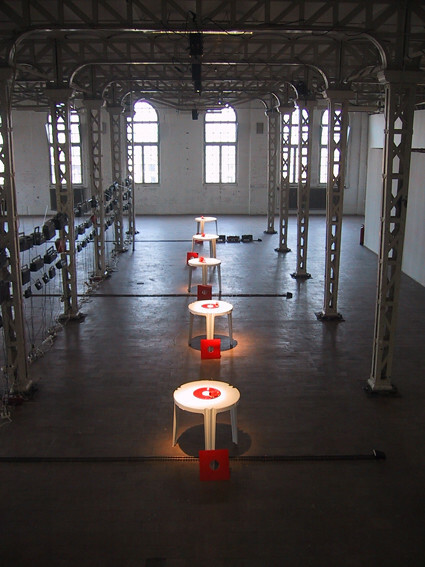 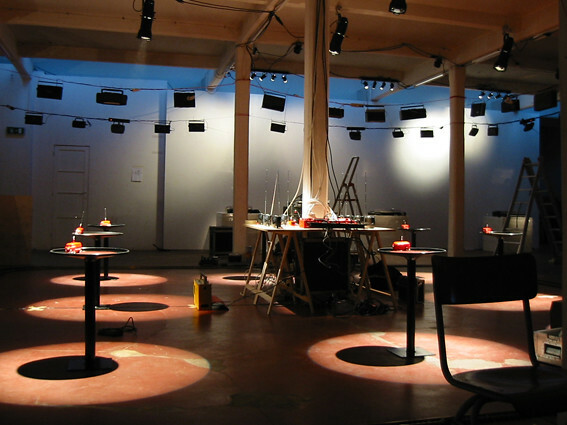 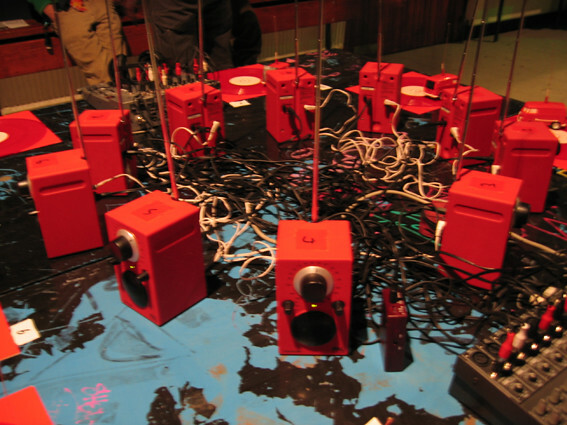 By arranging the radios in groups it becomes possible to explore the architectural dimensions of the space. 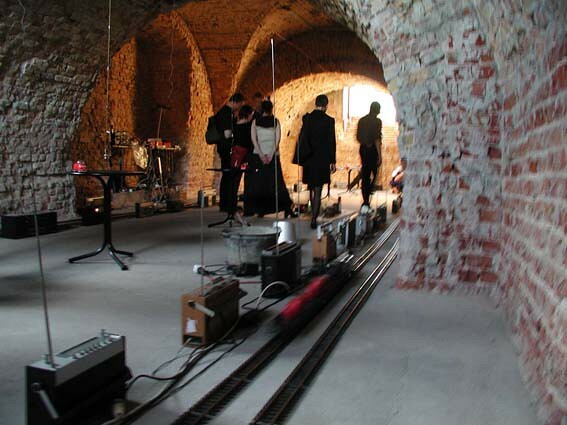 Some radios are tuned to the same frequency, here we use small battery operated radios on train sets to map the transmission in the space, it drives through the interfering frequencies.